A baby born to a mother diagnosed with substance use disorder — which includes any drug or medication taken during pregnancy that is not prescribed, particularly opiates — can suffer the same type of withdrawal symptoms as an adult. Even certain prescribed medications, such as opioids (a synthetic that works like opiates), taken by a pregnant woman can cause withdrawal in a newborn. 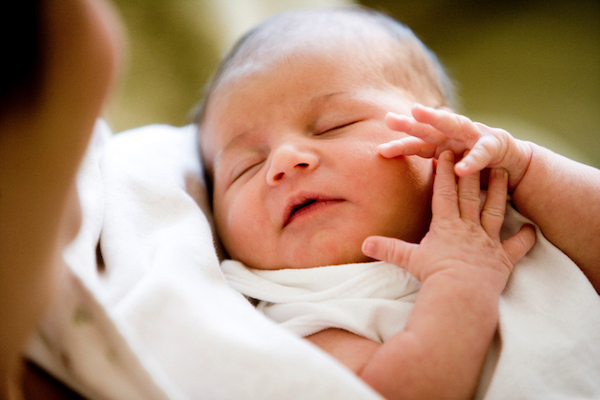 The symptoms, called Neonatal Abstinence Syndrome, require the special professional attention of Hartford HealthCare’s “Neonatal Abstinence Syndrome – You and Your Baby” program at The Hospital of Central Connecticut that guides mother and baby through withdrawal. We want to get your baby home as soon as possible, with a plan for both parents to navigate this most stressful and emotional time. Babies can experience withdrawal symptoms similar to adults who use opiates/opioids, and often more severe, that if not treated properly can lead to seizures. Symptoms include tremors, loose stools, vomiting, excessive crying and insomnia, increased breathing rate and difficulty gaining weight. It’s hard to predict which babies will have the most severe symptoms. Your baby will remain in the hospital for observation for at least five to seven days. If the baby requires medication, the stay will be extended as the dosage decreases incrementally until stopped. Your presence and care for your baby during this time is critical. After you’re discharged, we’ll reserve a room for you and your baby on our Postpartum Unit. Skin to skin, breastfeeding (if not contraindicated), diaper care and time with your infant are crucial elements of mother-baby bonding and recognizing your baby’s daily routine and care needs. Toxicology tests on your urine (and your baby’s) will identify the substances taken during pregnancy and the appropriate treatment. Your baby will be assessed every three hours or so, with each feeding. Breastfeeding is recommended and encouraged for bonding and weaning of medications. Our medical team will help you decide whether breastfeeding is best for you and your baby. Q: Will a Social Worker be involved in our care? A: The hospital maternity social worker will provide you with support, resources and work with you towards a safe discharge for your baby. Q: Will the state Department of Children and Families get involved? A: The medical staff and social worker will determine if there is a need for DCF intervention. DCF makes every attempt to keep families together. Its goal is to support you in recovery in order to be sure that the baby is in a safe home. Q: Will my baby have problems when he gets older because of my drug use? A: It is difficult to predict which babies will have problems later as a result of substances. Attentive, loving care and an appropriate home environment are very important in every newborn’s development. Some symptoms of withdrawal may continue for up to six months. Symptoms gradually decrease. If they are not getting better, be sure to tell the baby’s provider. Keep all appointments for your baby. Get help from family and friends to care for baby when you need a break. Work with your provider as your own medication may need to be adjusted. If breastfeeding and you want to wean, ask your provider first. A sudden stop might cause withdrawal symptoms in your infant.